Review: I felt Christmas with Dairy Queen's Candy Cane Chill Blizzard! My desire for Candy Cane Chill Blizzard by Dairy Queen reminded me of celebrating Christmas when I was young. 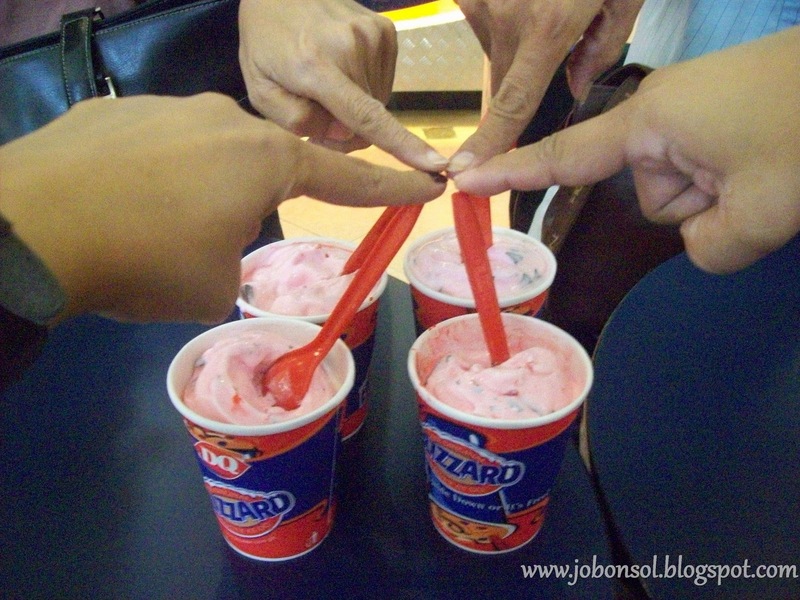 So, after the Quezon City Secondary School Paper Advisers Association meeting at the DepEd QC Conference Hall today, Melvyn, Kitte, Mean and I thought of Dairy Queen's Candy Cane Chill Blizzard at SM North Annex. 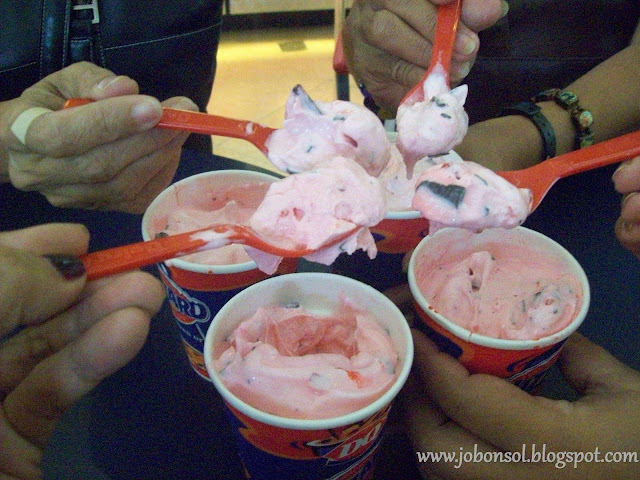 I had this last week at DQ SM Mall of Asia but I couldn't get enough of it because I really love candy canes. At P79/8oz, Candy Cane Chill Blizzard is a mouth-watering combination of peppermint candy cane pieces and rich chocolate chunks blended with creamy DQ vanilla soft serve. Each of us reminisced our childhood loving candy canes on Christmas and how we missed those childhood games and activities with candy canes. 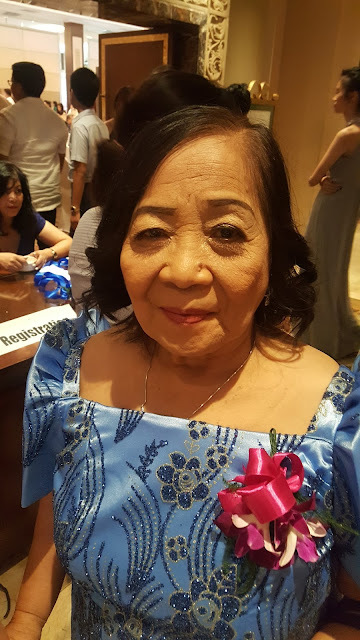 We remembered our own memories lolos and lolas with candy canes when we were young these days when kids look at candy canes as more of a decor for Christmas trees. It was really deliciously minty and merry! You'd feel the mint after-taste truly delightful to the mouth after eating. I must say this is one of my most preferred Christmas ice cream because of the candy canes. Did you know that DQ provides nutritional facts about their blizzards and other products? 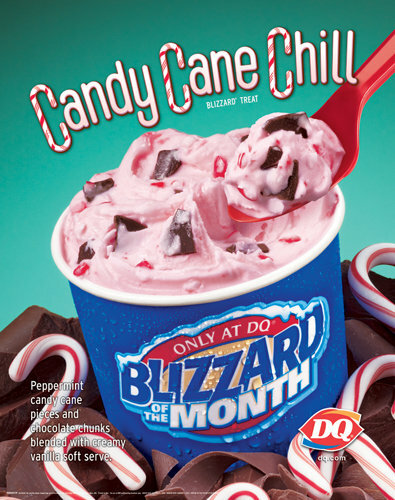 Try Dairy Queen's Blizzard of the Month, Candy Cane Chill in all DQ outlets nationwide. 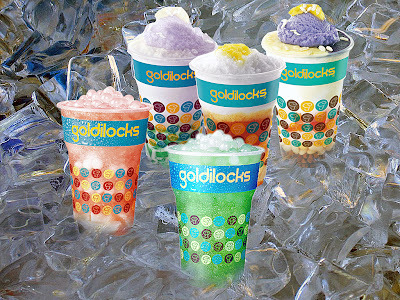 1.Jollibee introduces Caffe Ti-Amo Philippines!